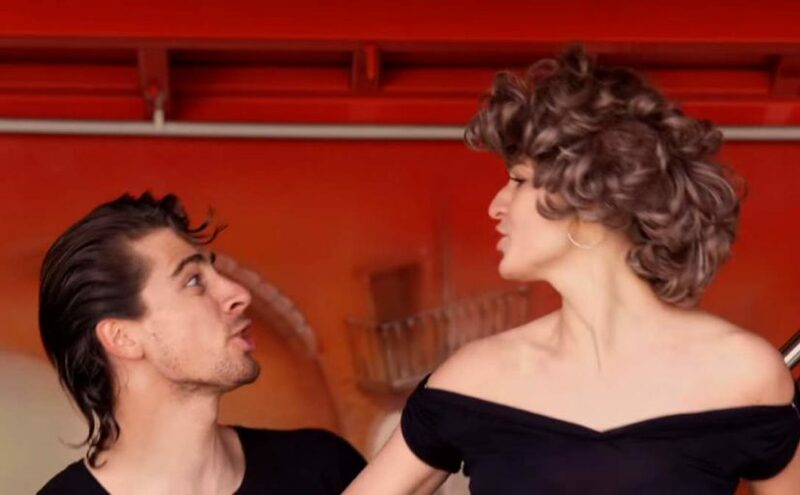 As a last minute surprise of the New Years’ Eve, Peter Sagan and his wife Katarina published a video on youtube: a tribute to the “Grease”, the 1978 American musical romantic comedy film directed by Randal Kleiser. The film stars John Travolta, Olivia Newton-John, Stockard Channing, and Jeff Conaway. A dance scene from the movie, “You’re the One That I Want” became very famous. Peter and her wife reproduced that scene. “You’re the One That I Want” was nominated for TV Land’s award for “Movie Dance Sequence You Reenacted in Your Living Room” in 2008. In the United Kingdom, the two Travolta/Newton-John duets, “You’re the One That I Want” and “Summer Nights”, were both number one hits and as of 2011 are still among the 20 best-selling singles of all time (at Nos. 6 and 19 respectively).